I gave some of this tea to some of my birth clients before I had my fourth baby, Rory. One of my clients served it to me during a post-natal visit. I remember thinking, "Yum, this is good tea!" before I realised it was my own blend! Since having Rory (in December 2010), I've drunk litres of it and it is indeed delicious. If you are keen on the aniseed-y taste of fennel, caraway and blessed thistle, you'll love this. It is nutritionally rich and contains superb galactogogues to help boost and maintain a bountiful supply for your little nursling. You can make up your tea in the morning and drink it whenever throughout the day. 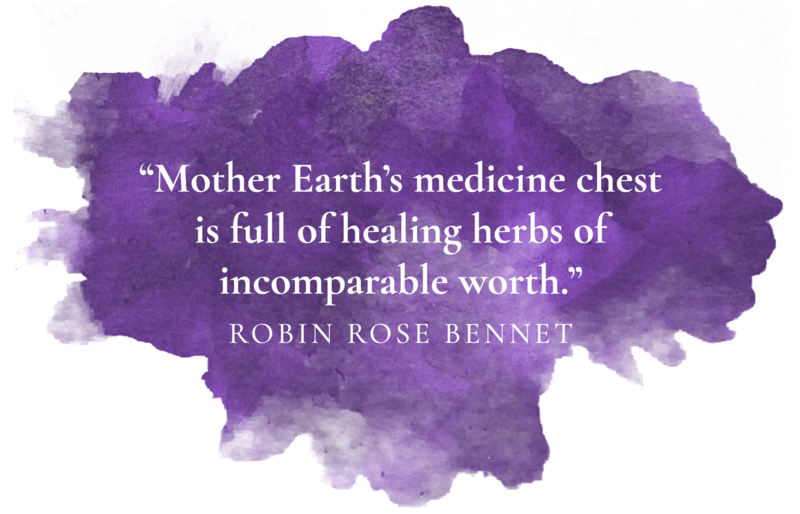 Place a "finger-ful" of herbs (about 1-2 tbsp) in a glass jug, bowl or even a jar, or a ceramic pot. Pour on hot water, cover, and let it steep for about 10 minutes. 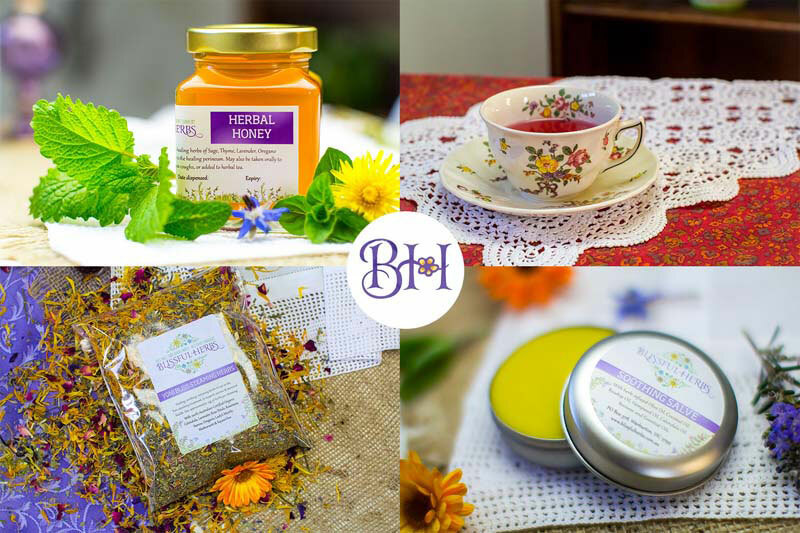 Now you have your basic herbal liquid ready. In a mug, dissolve a little bit of Manuka honey if you wish, then strain as much of the tea as you want - all tea if you like it strong, or top up with hot water if you like it subtle. Add a twist of lemon or lime if you wish - or enjoy as is to appreciate the flavours. It doesn't matter whether you drink your tea hot, room temperature or chilled. I suggest drinking 3-4 cups throughout the day, but you can certainly drink more if you wish. Goat's Rue (Galega officinalis) - an effective galactogogue which stimulates the mammary glands. Loved it! Plenty of milk. Having low supply for my first baby , I wanted to be prepared this time for my second baby. I drank this tea whilst pregnant and after the birth - and have plenty of milk. So happy and the tea has a lovely taste also. I have tried a few other products the delivery was fast and any questions I needed answered were responded to quickly. Definitely recommend these nurturing herbs! Thank you. Every breastfeeding mum needs this! I gave birth to a prem bub with jaundice and was told to breastfeed and express as much as I could to flush it out of him otherwise he'd go onto formula and have to stay in the hospital. I credit this tea for the amount of milk I have been able to produce. I was expressing so much colostrum and then milk, even the midwives were impressed! As a result we flushed it out and he was able to come home with us. So thank you for this wonderful tea! I have enjoyed my nightly ritual after our baby goes to bed, making and drinking Julie's Breastfeeding Bliss with some added stevia. 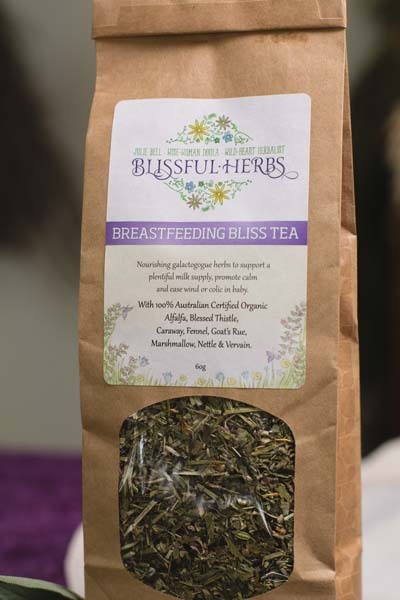 I have been breastfeeding now for 2.5 years and truly love the blend of beneficial herbs.